There is nothing better than a glass of water to quench your thirst. It’s the perfect zero-calorie drink that not only hydrates but also helps in maintaining a balance in the body fluids. It is also needed to flush out toxins from the body and prevents constipation. For those trying to give up sodas, softdrinks, juices, drinking plain water can be a little boring. 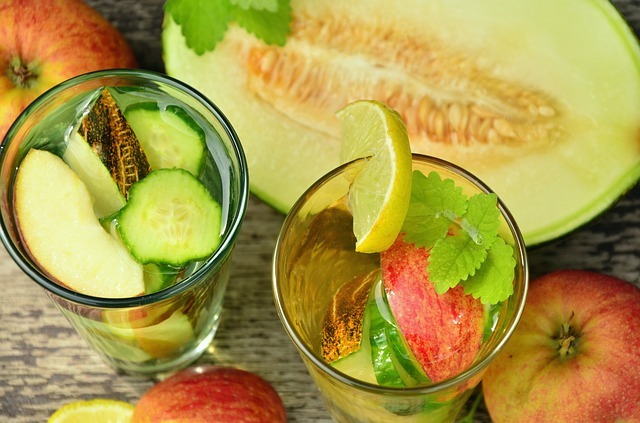 Infused water is the perfect solution to get a mildly flavoured drink without all the calories. In a pitcher add all the ingredients and refrigerate for a minimum of 4-6 hours. Pour into a glass and drink whenever you want a tasty treat. You can keep refilling the pitcher till the flavours still infuse into the water. The longer you keep it, the stronger the flavour. How to Detox after a Major Festival? ?